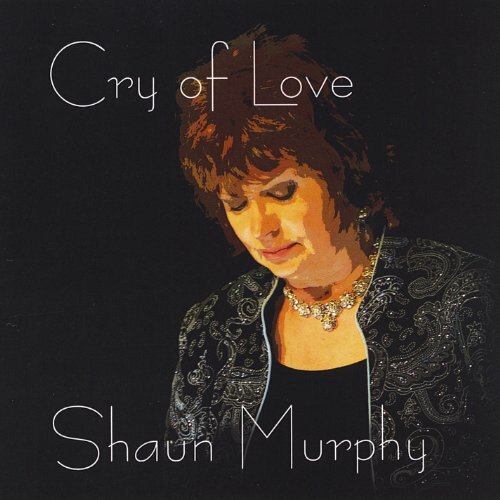 Valentine’s Day is coming up, and what better way to celebrate it than with Michigan maven Shaun Murphy’s “Cry of Love”? Her double win (the only double win) in last year’s Blues Blast Music Awards, with Best Female Blues Artist of the Year and Best Contemporary Blues Album of the Year, is a daunting feat upon which to build her Blues career. Nevertheless, she is more than up to this Olympic-sized challenge. One of the reasons is her remarkable blues and blues-rock pedigree. She’s toured with such legends as Eric Clapton, Bob Seger, Joe Walsh, Bruce Hornsby, Glenn Frey and the Moody Blues. From 1993 to 2009, she was also the lead singer for the iconic ‘70’s band Little Feat. As if that weren’t enough, the inexhaustible passion and energy she pours into her music seem to come from a higher power. Thirdly, even though all eleven selections on “Cry of Love” are covers, she gives fans countless reasons to fall ‘head-over-heels’ for her heartfelt interpretations of each one. Also performing are guitarists Kenne Cramer and Shawn Starski, co-vocalist and engineer/mixer/bassist Randy Coleman, Tim Gonzalez on harp, John Wallum on keyboards, and drummer Tom DelRossi. The following three songs present Shaun Murphy’s vocals in three distinct styles: poignant, pointed and powerhouse. Track 03: “Broken Things” – This heartstring-tugging ballad by Julie Miller is a love song for the Lord, who takes an interest in the objects mentioned in the title. “You can have my heart; oh, it isn’t new. It’s been used and broken, and it only comes in blue,” our narrator confesses, her voice rolling like a river in a rainstorm. Backing her up are John Wallum’s inspired organ and piano keyboards, which may make one imagine a church rather than a nightclub. Prayer isn’t only done silently, as Shaun Murphy brilliantly shows.